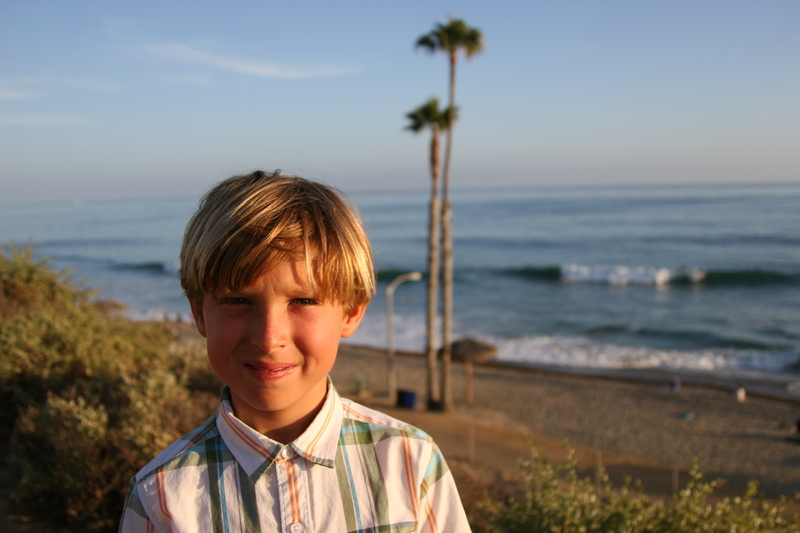 Ben Brantell, 8, celebrated his first surf contest win June 21 at the Doheny Longboard Surfing Association’s 18th Annual Menehune Surfing Contest and Junior Championship at Doheny State Beach, riding a longboard in the 8U division. He also took fourth in Boys 9-10 Longboard. We spoke with him as he checked out the waves at T Street on the eve of his last day of second grade at Concordia Elementary School. Dana Point Times: Was this your first contest? Ben Brantell: No, I have done a few and have a couple of trophies. I like shortboarding better than longboarding and want to be a pro someday. DPT: Is surfing your only sport? BB: No. I’ve been playing soccer for four or five years. My team is United FC. Last week we got to train with an LA Galaxy player, Baggio (Husidić). He’s number 6. My coach trained him so he came down and had a little training time with us. It was really cool. DPT: How did you do in school this year? BB: It was a really fun year. I got good grades and learned about geology—rocks and crystals inside of rocks and stuff. Last Friday I got “Student of the Year.” My teacher, Ms. Powell, had a lot of people to pick from and I was really good this year so she picked me. I got to have ice cream with the principal. DPT: What are your summer plans? BB: I’m doing Junior Guards and hopefully surfing all the time. I like surfing Uppers the best. DPT: How did it feel to get your first win at the DLSA Menehune? BB: I felt great after winning. I got a trophy and stuff and I felt like I was so special. I did a Quasimodo and got one foot on the nose and stuff. I got two trophies because I got fourth place in the other heat with 10-year-olds, but I gave that one to my little brother. The trophies are awesome. They have sharks and dolphins on them. DPT: Why did you give one to your brother? BB: I just thought that my brother doesn’t have any surfing trophies yet so it would be nice to give him one. He thought it was awesome. He’s six. He looks up to me and he wants to do the contest next year.